Explore What's Nearby Our Apartments in Boca Raton, FL! At Arbor Oaks, enjoy a wonderful and convenient location in Boca Raton, Florida. 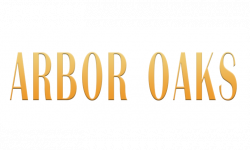 Located right down the street from downtown Boca Raton, Arbor Oaks provides a wonderful central location. Only minutes away from FAU and Highland Beach, residents have access to all the wonderful dining, shopping, and outdoor life that Boca Raton has to offer! Experience our luxury apartments in Boca Raton first hand. Give us a call at (561) 483-1788 or submit an online application today!